Virginia Beach has much to offer: a great seaside location, a strong economy, desirable neighborhoods, and plenty of sunshine. What’s more, the city is located near the Chesapeake Bay’s busiest deep-water port cities, including Norfolk, Hampton, and Newport News. With so much commerce and endless international shipments, the greater Virginia Beach area is ideal for forklift drivers looking for a rewarding career. CertifyMe.net is your forklift training partner for Virginia Beach, and all across the state. Once you’ve satisfied your Virginia Beach forklift training requirements, you’ll enjoy a big advantage over other job applicants, and you’re also prepared to handle job hazards! Virginia Beach is buzzing with construction projects these days. The list of active work sites is long: the new Kempsville Rec Center, the replacement for the Lesner Bridge, the new span over the Lynnhaven Inlet. It’s a great time to be a member of the skilled labor workforce. If you’re not already, it’s a good time to think about joining in. The money and benefits are good, and once you’re qualified to operate standard equipment, you can make a career in construction work for you over the long haul. Area employers are looking for qualified forklift drivers. Only the best candidates will get the best-paying jobs. With our forklift training in Virginia Beach, you’ll put yourself at the top of any employer’s wish list! Sign up today and get started! How Do I Get the Training I Need? Employers won’t consider your application for a skilled labor position like forklift operator if they can’t be sure you’re qualified. That’s why it’s important to learn the ropes before you get into the game. There’s a whole range of safety guidelines for operating a potentially dangerous piece of machinery like a forklift, and until you can prove you’re fully aware of what they are and how to avoid the pitfalls, your application will fall flat. Fortunately, there’s an easy way to get started: with an online course that’s fully compliant with the guidelines you’ll need to learn. You’ll get the training you need to get started in the industry – the kind of training employers will recognize. Convenient, easy, and cost effective, it’s the best way to get started if you’re looking for a forklift operator job in Virginia Beach. We have a proven 5 step program in place to handle your forklift training needs in Virginia Beach. CertifyMe.net handles your preparation, test, certification, and even lifetime renewal training! Employers are responsible for maintaining a safe work environment that doesn’t pose any danger to the workers, bystanders, or property they handle every day. This responsibility is overseen by the Occupational Safety and Health Administration (OSHA), a government agency that enforces safety guidelines in the workplace. Before you even show up to apply, you need to be able to convince your employer that you’re up to code. Getting certified is the clearest way to show that you are. 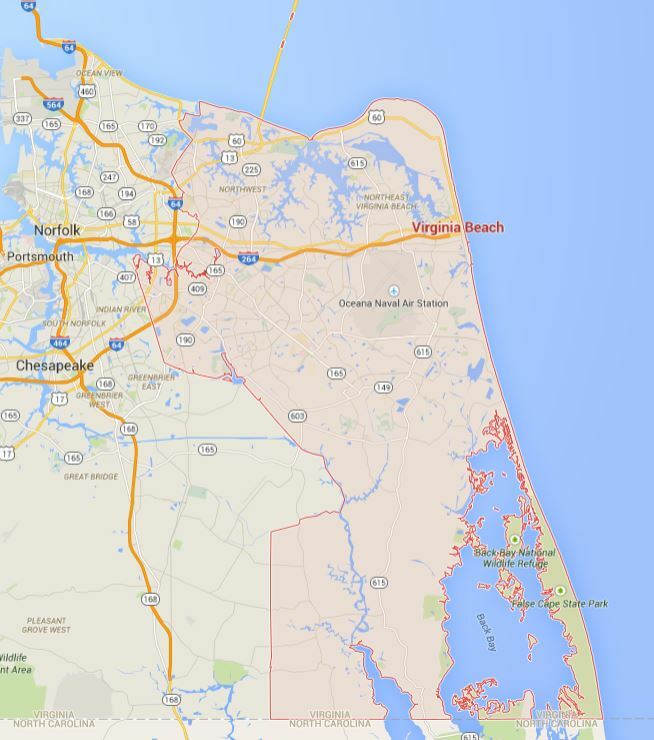 Who’s Hiring Forklift Operators in Virginia Beach? There are a number of companies looking for qualified forklift operators to get started right now. Check out some of the opportunities waiting for you. S. B. Ballard puts a premium on finding the right people for the job and allowing them to grow within their business. It’s a great place not just to start your career in construction, but to develop it over time. You can apply here. Seaward Services is an internationally recognized logistics firm that has locations all over the country. They’re always looking for qualified workers to manage and operate their warehouses – like this specialist position. Bauer Compressors is well regarded in the community for its frequent hires of certified material handlers and other related staff. Check out opportunities like this one. And don’t forget – thousands of forklift jobs are right up the road in Newport News, Norfolk, Hampton, and other Chesapeake Bay communities. Good luck with your search, and remember to prepare for your new career with the training you need – and the certification your new employer will be looking for. Get started with CertifyMe.net today! To speak with our forklift training specialists for Virginia Beach, call us today at 1-888-699-4800. Thanks for considering CertifyMe.net for your Virginia Beach forklift certification needs!